In the last 15 months, I've driven around every state in the old Confederacy, visiting a lot of blue collar eateries, cheap hotels, campgrounds and tap houses. In that time, I've seen less than 15 Confederate flags, total, including bumper stickers. Meanwhile, the pubs and diners have been more racially integrated at all levels - customers, workers and managers - than anything I've ever seen outside of Dixie. If the South is full of crazed, hateful, white supremacists, they're doing a good job of hiding it. Or maybe that's a long-dead boogie man preserved by progressives in order to gain power through fear and hate. 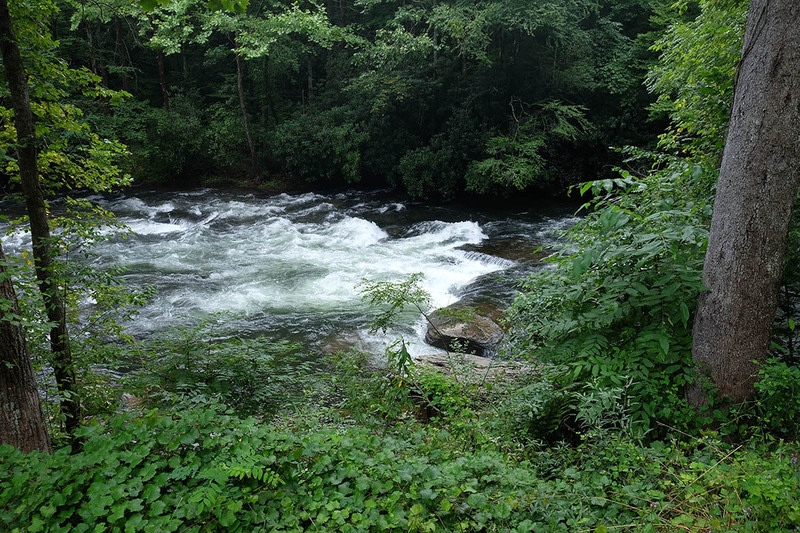 Maybe instead of repeating the hateful slander of would-be tyrants on the left, we could just enjoy places like the Nantahala River in North Carolina and the lovely people that live nearby. Can You Spot The Kudzu? Aquinas Was A Radical. We Need A Radical Now.